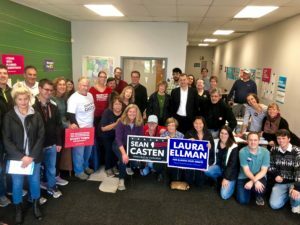 The campaign to elect Laura Ellman as State Senator has knocked over 31,000 doors with three weeks left until Election Day. This has been in large part due to the collaboration and support of allied campaigns and organizations. 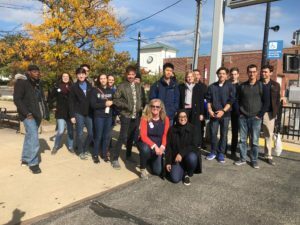 Organizations like Moms Demand Action and township democratic organizations and campaigns from Sadia Covert for DuPage County Board to Rep. Bill Foster for Congress have all been instrumental in helping us reach as many people as possible before Election Day to get out the vote. We still have joint events coming up, so check out these events to get in on the fun! 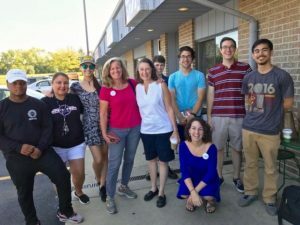 10/27 Halloween Canvass: Get Out the Vote-Or-Treat! We will be canvassing in costume and handing candy out to voters.